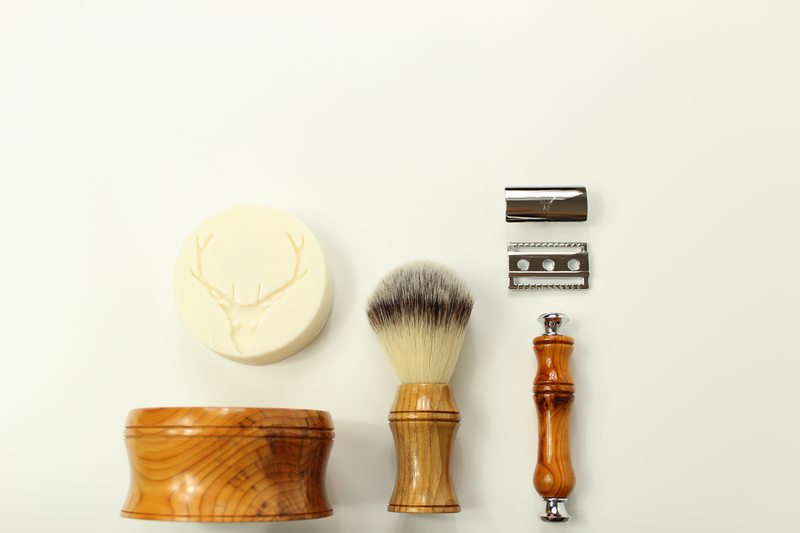 STAG is an ethical Male Grooming brand, offering luxury wet shaving products hand crafted in the UK. With a core focus around the rise in Men's health and beauty in the UK, STAG blogs all things Man, Business and Entrepreneur. This what your Stag | Male Grooming Blog | England Blog Ad will look like to visitors! Of course you will want to use keywords and ad targeting to get the most out of your ad campaign! So purchase an ad space today before there all gone! 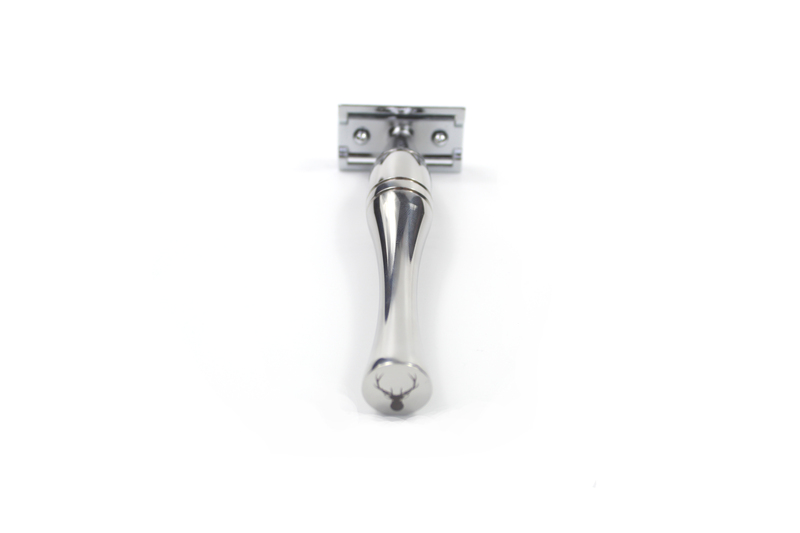 Our new, deluxe, chrome polished Stainless Steel Shaving Razor is HERE! The anticipation is over - introducing the S2 "Grande" Shaving Razor. It's important to get every day off to the perfect start. With the all new Deluxe S2 "Grande" Shaving Razor, you'll become a morning person again. Get ready for the BEST shaving experience of your life and rejuvenate your morning routine! 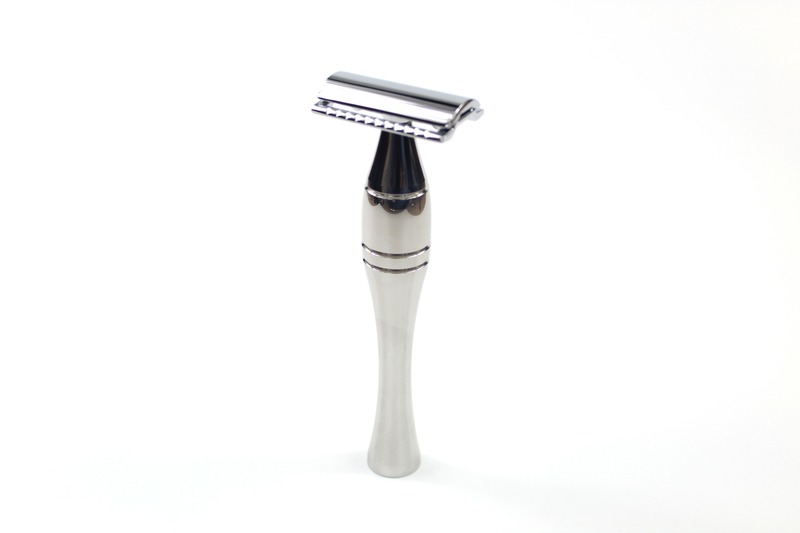 Everlasting design; the S2 Grande contains only a handle and razor head. Our minimalist design means the razor will last you more than a lifetime. The S2 Razor is crafted to exact specifications and precise detail. We've perfected razor handle ergonomics. A design based on the Stag antler; the streamlined curve sits perfectly in your hand. The shape allows your fingers to wrap naturally around the razor handle meaning you're in complete control of your shave. 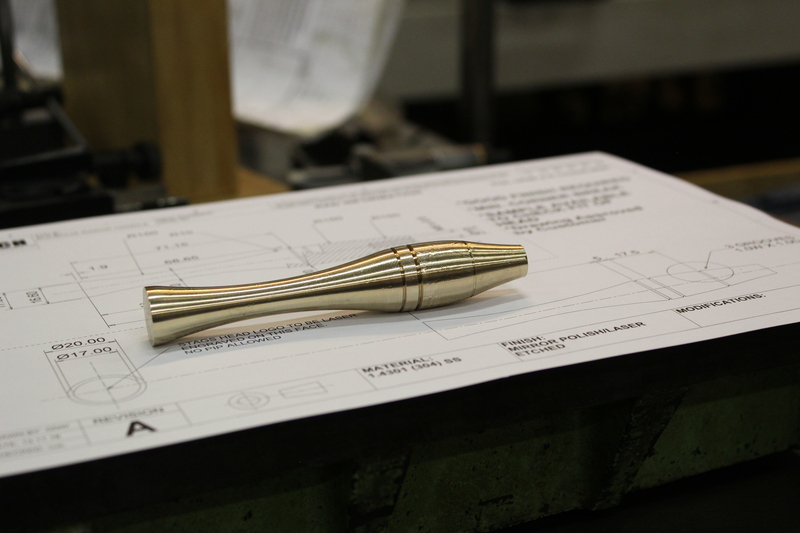 Prototype: Brass prototype in our Factory in England. We've designed the Razor handle with an optimum weight that we believe is the perfect balance for a steady hand, this means a smoother shave through less razor "nicks". We've further reduced the chance of "nicks" and slips through the addition of groove slits. 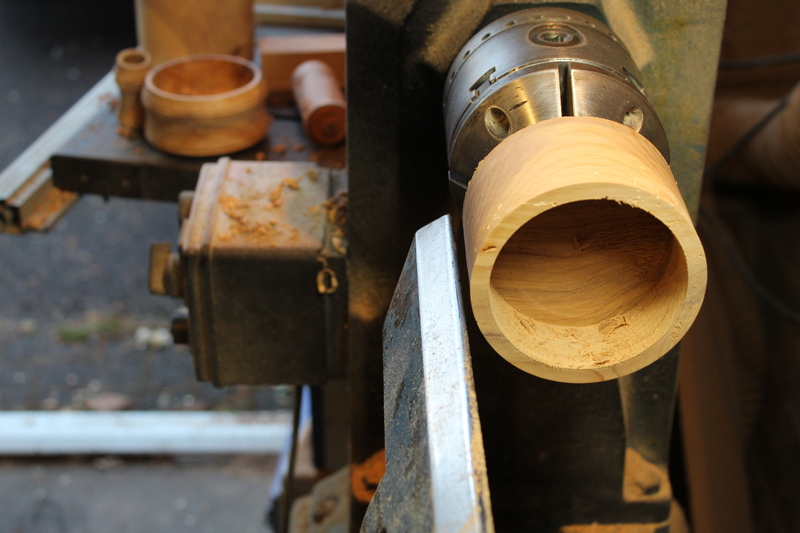 Each groove sits at the top of the handle to collect water droplets when they first hit the razor head. This means less slippage and more control. 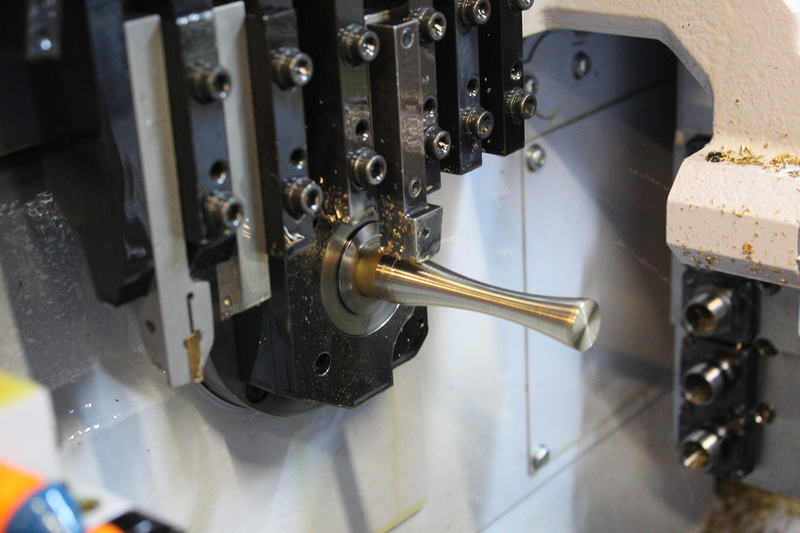 Prototype: Brass S2 prototype stands tall in all its glory in the factory shop floor. 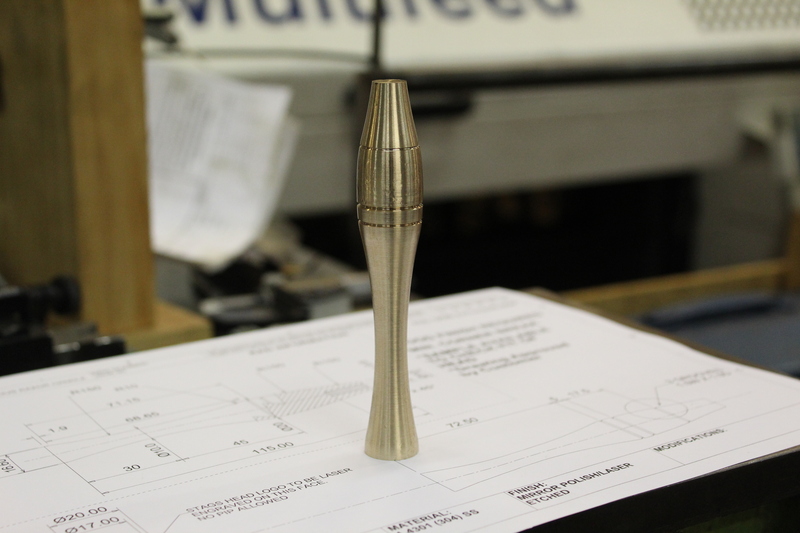 The brass prototype, pictured above and made using a different material to the finished product specification, was one of the first ever run offs of the S2 concept. 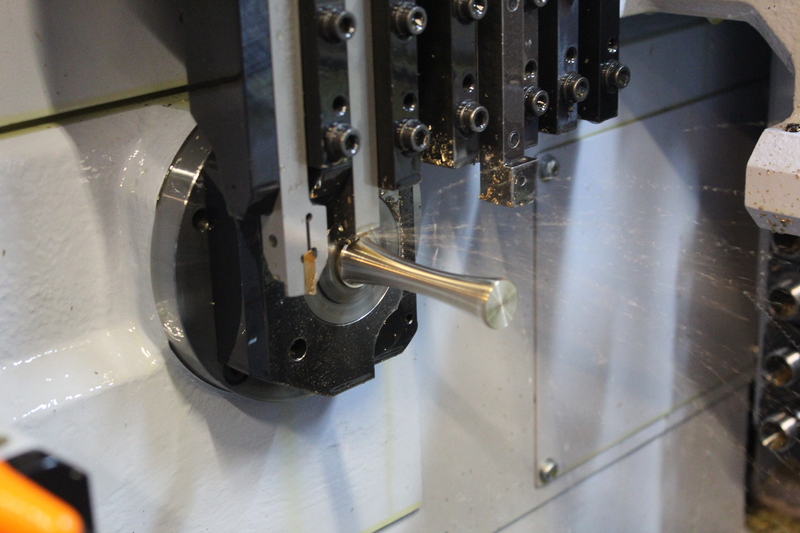 In action: Snapshot of the S2 Grande being crafted in our factory in England. In a class of its own, this Double Edge Safety Razor is crafted from British Stainless Steel by our expert steelworkers in England. 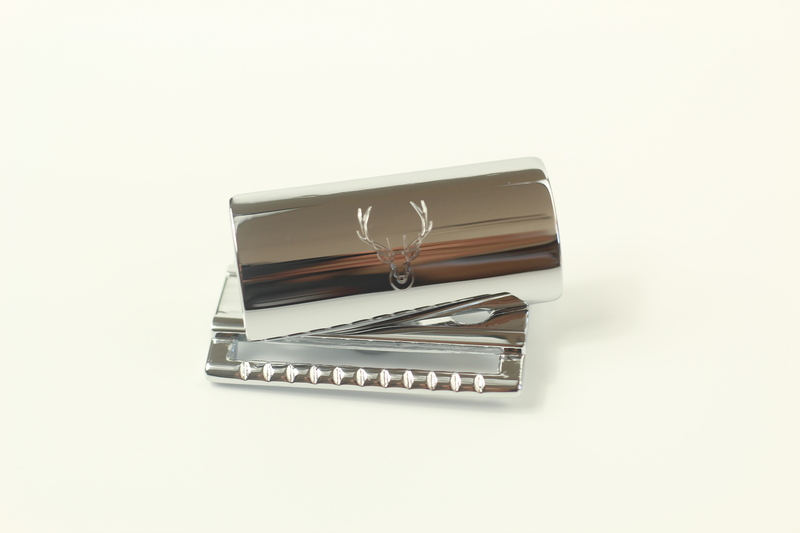 Each piece is then hand polished before our iconic "Stag" logo is embossed on the Stainless Steel razor base. The polished shine is truly mouthwatering. 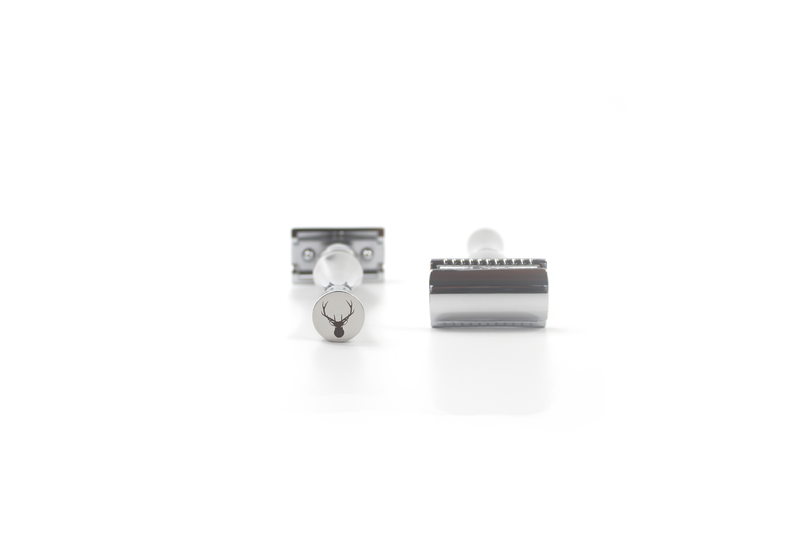 Iconic: Each S2 Razor is individually embossed with our iconic British Stag logo. The streamlined razor handle is designed to sit perfectly between your fingers and thumb, to give you complete control over your morning shave. We've also added groove slits to help collect water droplets, reducing slippage and helping to prevent razor "nicks". Streamlined: We've mastered Shaving ergonomics to fit around your hands. The precision groove slits collect water drops reducing slippage during shaving. Quintessentially British, this is a razor to be proud of. Visit the shop now and get experience the true luxury of shaving with the all new S2 "Grande". Watch the full video in HD here. 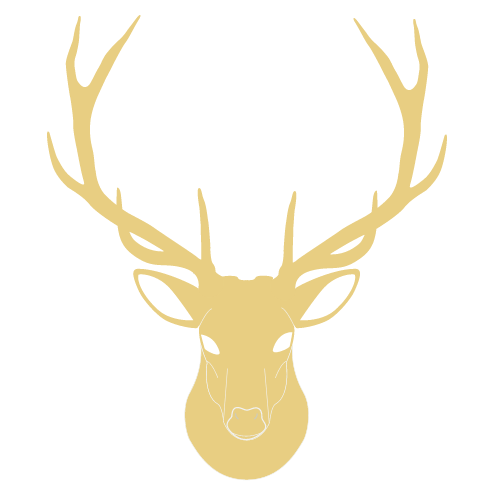 STAG luxury Gift Sets are each individually handcrafted by skilled British Artisans over the course of several days using age old techniques. No one Gift Set is the same; in this Post we'll be discussing the new STAG luxury shaving gift set, how it's made and why it stands out from the crowd. It all began in 2017 in the heart of Cheshire, the North-West of England; a county bursting with British countryside and wildlife, an abundance of history both new and old. We were at home in a place truly rooted in British culture. 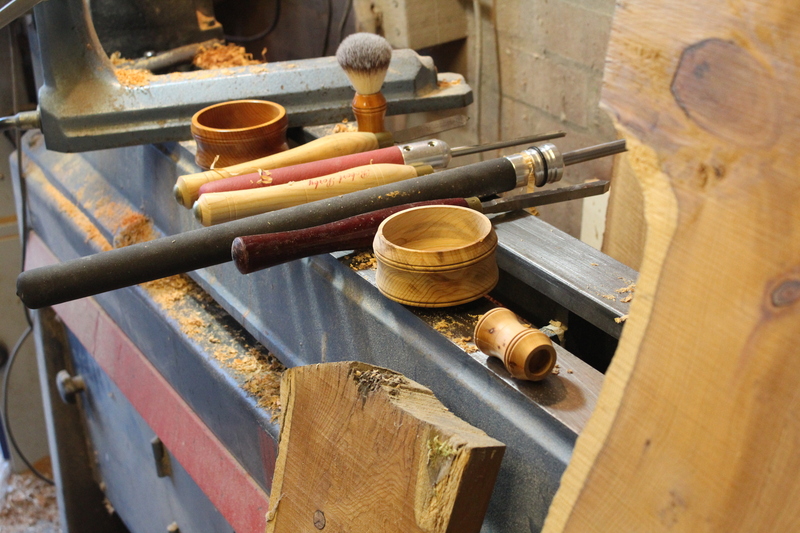 We met with an Artisan woodworker who had been perfecting his trade for an entire lifetime. As a wet shaving enthusiast, Steve jumped at the opportunity to produce a long lasting, luxury shaving set made entirely from British wood. A true advocate for British craft, we worked together to develop the Deluxe Handmade Shaving Set. With various contacts in the woodworking community across Cheshire, we worked together to identify the right wood for the task. When we came across the storm-damaged tree only a few miles away, we knew we'd found the perfect match. The tree was plentiful with colour and character, vivid patterns and personality. Everything we had been looking for, it was a true constitution of British countryside and persona. A tale of British heritage, we were to transform and restore this once vigorous and sprightly glory into a mouthwatering shaving collection to sit proudly in your home, to refine your morning every day with this cut of English history. 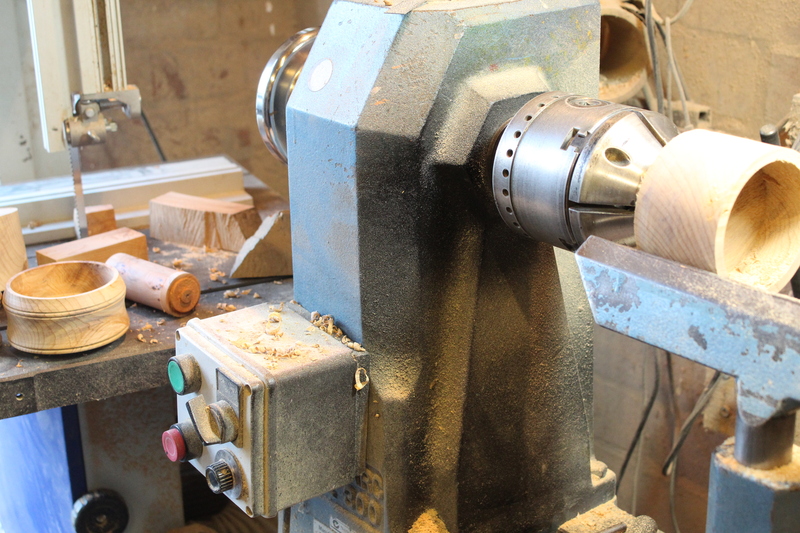 Now we had our hands on the responsibly sourced raw material for the job, it was time to dust down the workshop. Gloves and goggles on, the Artisan begins turning his hand to a project that would achieve something spectacular and out of the ordinary. We were to use carefully selected cuts from the tree we had chosen, so that every shaving piece in the gift set has its own colour and pattern, distinctive character and identity. No one piece could ever look the same; a beautiful consequence of chance of an Artisan process using real wood. 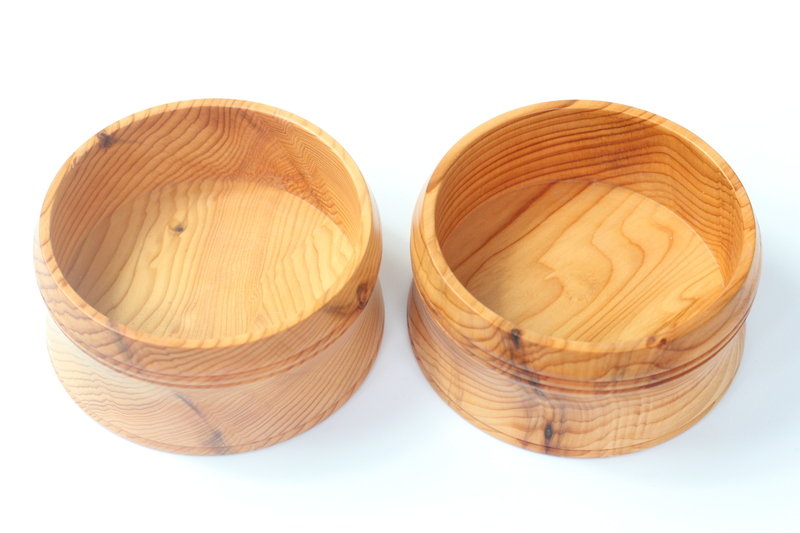 Before and After: A part-completed and completed Shaving Bowl and Brush. The results are truly magnificent with precision in every detail. 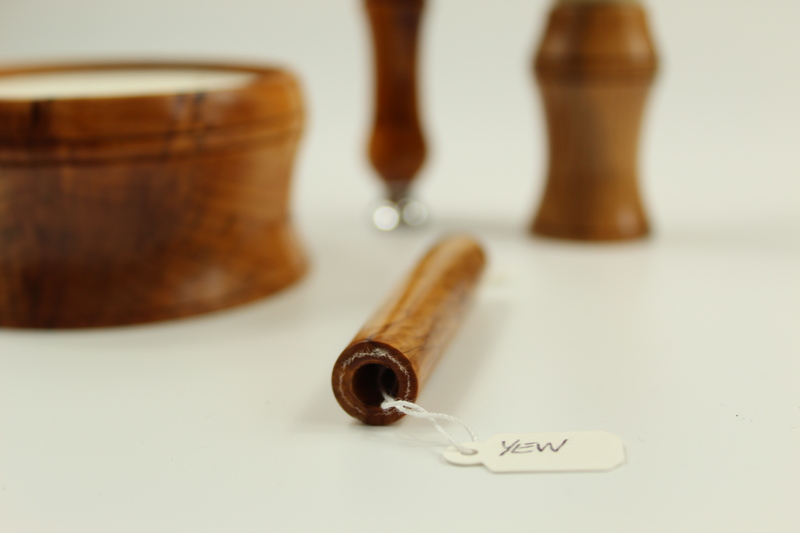 By selecting our own real British hardwoods, sourced responsibly and locally to our workshop, we can tell you where your shaving set was born, lived and how it fell from grace. The entire story of its magnificence before being restored and brought back to life. We want to make better things using authentic, skilled techniques. That's why our entire handmade shaving collection is individually crafted over days by expert British Artisans. 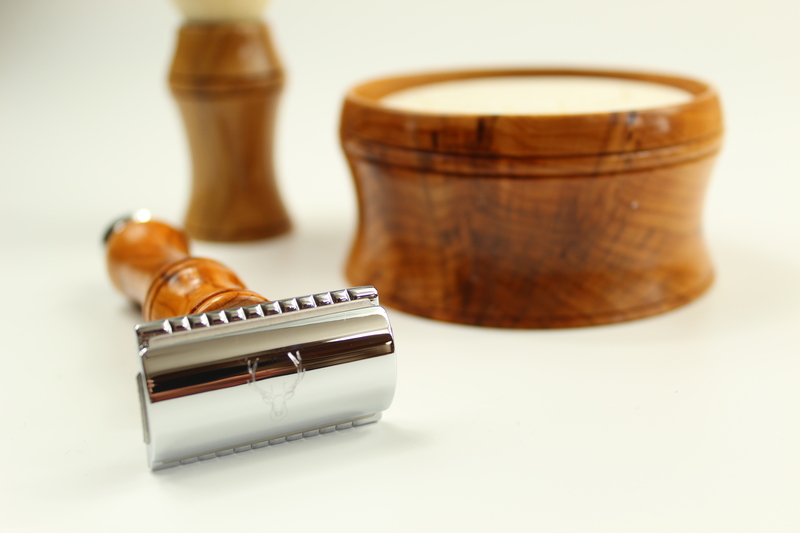 Using true, natural Yew wood also means every Razor, Bowl and Brush carries its own distinctive pattern and grain. So every set has a completely unique colour and character. It was 18 months ago. Late spring of 2017. A new generation of Stags were being born, as it was Fawning season across Britain. We like to think it was fate (but you must admit it was fitting) that we launched a new generation of luxury British Male Grooming products under the same brand name. Quintessentially British, the Stag is the largest land mammal native to England and the United Kingdom. The Stag we know is the Alpha Male of the Herd. Our wet shaving collection is designed for the Man; for the Gentleman. We're proud that all of our products are handmade. 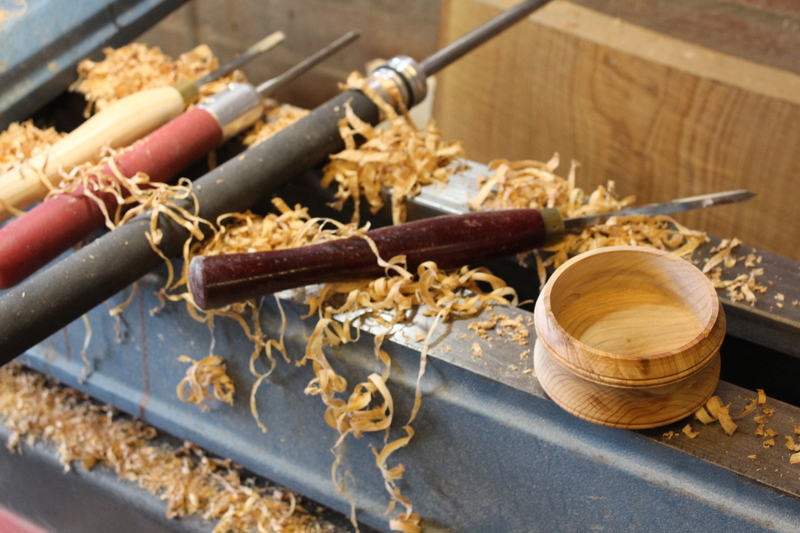 From the chopping of the British wood (we choose and source responsibly ourselves locally in Cheshire), to the wonderful working of our handles by our magnificent British craftsmen in our boutique workshop in the same county. We can trace all of our products back to their roots and pinpoint where the wood in your safety razor, shaving bowl or shaving brush once grew. 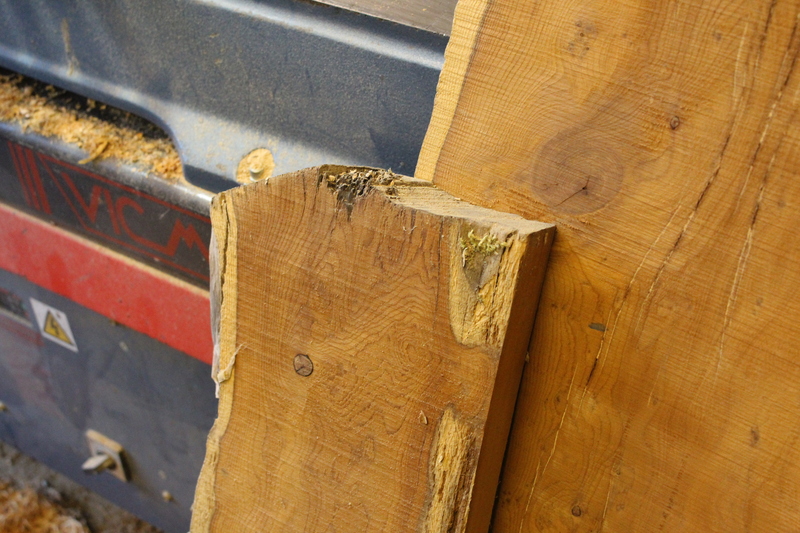 We can tell you about the history of the wood we use in our trees. We can tell you about their origin, their life, their story. It seemed only right that our brand would connect you to the rural British countryside, too. The Stag does exactly that. The king of the forest, the Stag lives and breathes the forest it owns. Finally, we wanted to be dominant in our arena. We wanted to make a difference, lead people away from plastic mass produced consumer-ism (see our guest post on Grooming Mail)and towards the wonderful art of shaving passed down from our grandfathers. Just like the Stag, we wanted to stand tall amongst our compeition and #leadtheherd. Fast forward to December 2018, and Stag continues to make a difference every morning to a growing number of Men around the globe. We're a boutique business. We've only one workshop and a small number of craftsman who have mastered the art of woodworking over generations of passion and dedication. We're living and breathing the Brand. We started life with one skilled worker in a small workshop in Cheshire. So, artisan craftsmanship became central to our identity. We're using quality British materials picked by us. 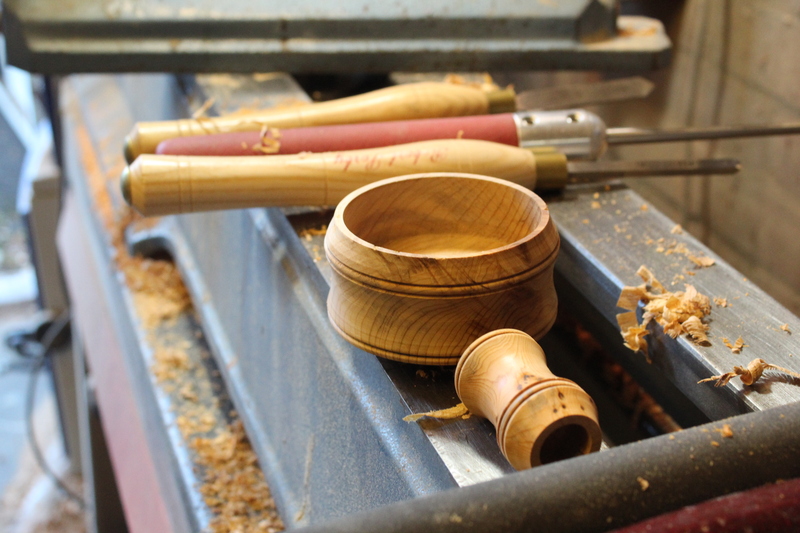 We craft all of our products carefully over days of precision woodworking to the highest standards in the world. Our artisan methods are impossible to reproduce by machine and are the embodiment of true luxury. This artistry, craftsmanship and durability of our wet shaving collection appeal to the connoisseur and set Stag apart from any other Male Grooming Brand in the world. We're making a difference, we're leading the herd. What is the vision for the brand moving forwards? We're proud of who we are and what we stand for. Our values and our core mission will never change. We believe in the craft we support, the change we're making and the message we spread. With new product ranges already in decelopment, keep an eye out for STAG in 2019. What do you need to Wet Shave? Wet shaving has made a dramatic comeback in the last decade; men around the world are beginning to take skincare more seriously and take more pride in their appearance and the way they feel. Modern men are trading in their plastic, polluting disposable and cartridges for the luxury self-care of wet shaving. OK, so a proper shave takes longer, but your skin deserves better! A closer shave and less skin irritation and burns mean the smarter Men of the world are taking the lead in a new era of morning rituals. If you’re interested in the benefits of a wet shave, take a look at our first ever blog post from June 2017 on 5 Reasons Why Wet Shaving is Better. Creatures of habit, we often stick to what we're used to, even if there a far better way of doing things. That's because we're afraid they may be too hard or too complicated. Believe it or not, the wet shaving process is fairly straight forward! So, how do I try Wet Shaving? We're going to try and reduce the concept of the wet shave to a simplified four-step process. Of course, there can be plenty more to anything and wet shaving is no different. It's a true art, a skill and craft that you can master and constantly improve on through your technique, choice of soap, razor and blades. You begin by wetting your skin with a few splashes of water, making your skin nice and soft. Add on shaving soap or cream to help raise the hairs on your skin. We recommend using natural, handmade soaps. Supermarket shaving soaps, gels and foams are mass produced and contain harsh detergents that are bad for your skin, particularly those with sensitive skin. 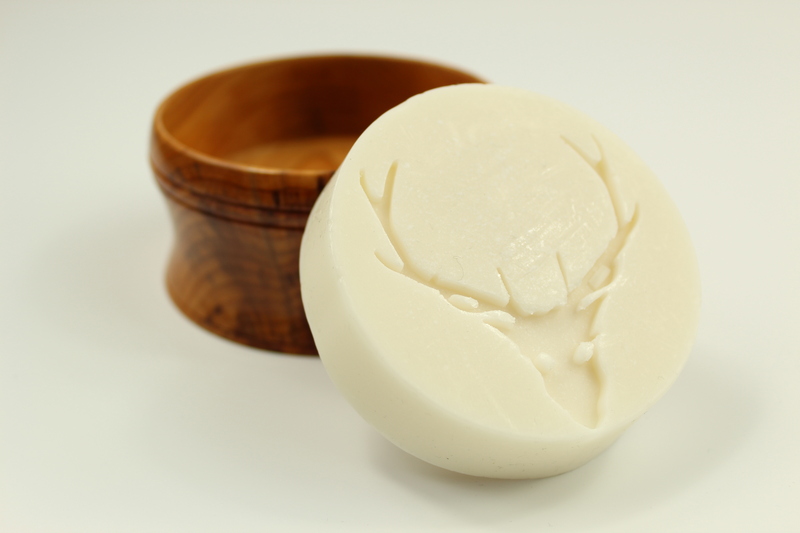 Why not try one of our 100% natural and handmade in the UK shaving soaps here (opens new window). It's important to get a good spread of soap before shaving. 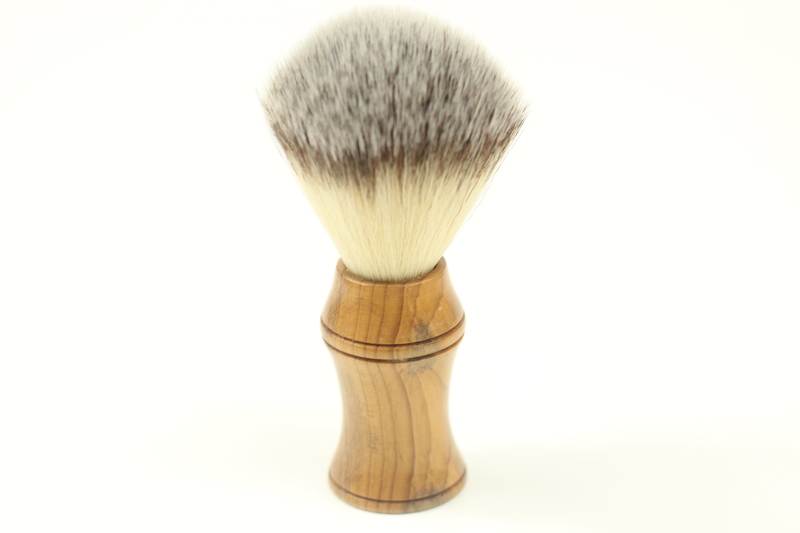 Your best bet is using a shaving brush! Shaving brushes come in all shapes and sizes, with animal hair and synthetic hairs. Animal hairs are however often sourced using controversial methods and some skin types can often react badly. We would always recommend a synthetic shaving brush for a smoother more skin friendly spread. Right, are you all lathered up? Or would you Lather add another layer? OK, we'll stop with the shaving puns. OK OK. So, Step 3! So this is where you'll need a Safety Razor. A good Safety Razor will be designed such that it's ergonomic weighting and handle shape and size will allow you to gradually glide the blade across your skin whilst exposing the correct surface area of the fitted blade. 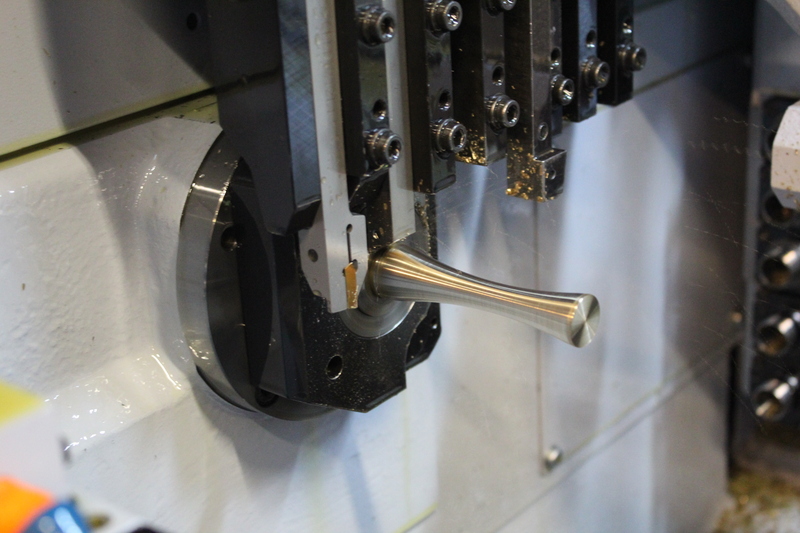 Our Safety Razors are designed and handmade in the UK to bring you masterful craftsmanship and ergonomic intelligence. We believe our Safety Razors truly are the best Safety Razors in the world. Check out our range here. 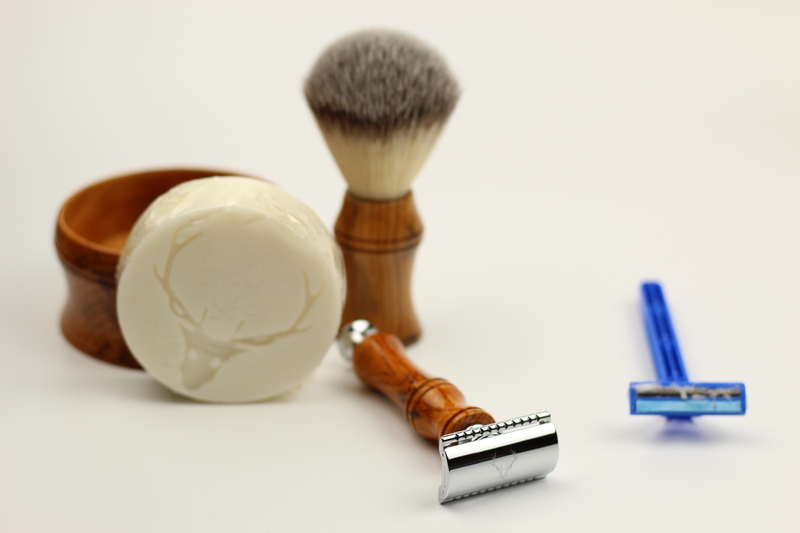 Once you're done shaving, you may want to repeat the process to spend the day extra smooth! Otherwise, finish with a splash of water and a hint of aftershave, and you’ll be fresh and ready for your day! How do I assemble the Safety Razor? We thought the easiest way to show you how to fit your blade and assemble your Safety Razor would be to create a short video for you to show you exactly how it's done. 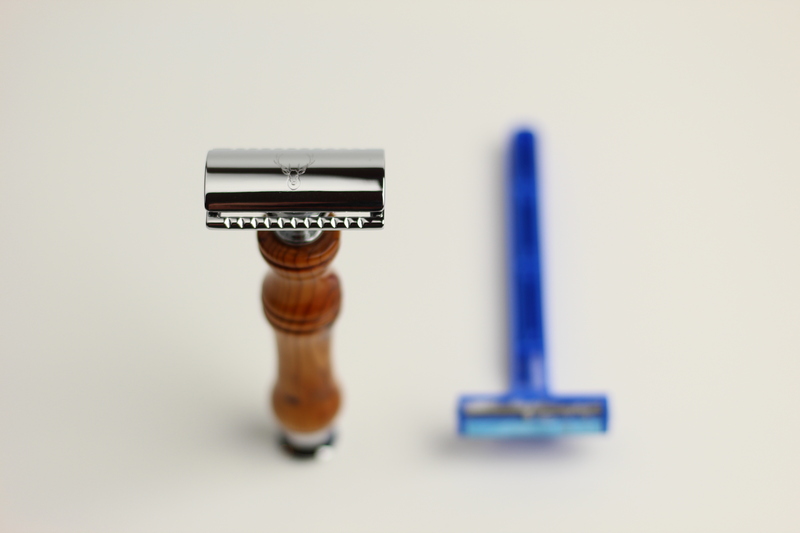 Straight Razor or Safety Razor? Well firstly we're glad you've recognised that cartridges and disposables are dreadful for your skin. And that you deserve much, MUCH better! You can wet shave with both a Straight Razor and Safety Razor. Picking a Razor type will help you determine all the remaining supplies that you will need for your wet shaving portfolio. So, should I use a straight razor or a Safety Razor? A Safety Razor is a great option for someone who is just starting with wet shaving, or someone who has been wet shaving for a while. So you've thrown away your disposables, put your electric shaving grinder in the loft and decided that you want to fall in love with a close, smooth shave. TOP TIP: STRAIGHT RAZORS WILL OFFER YOU THE CLOSEST SHAVE POSSIBLE BUT WILL TAKE A LOT OF SKILL MASTER. WE WOULD RECOMMEND USING A SAFETY RAZOR. 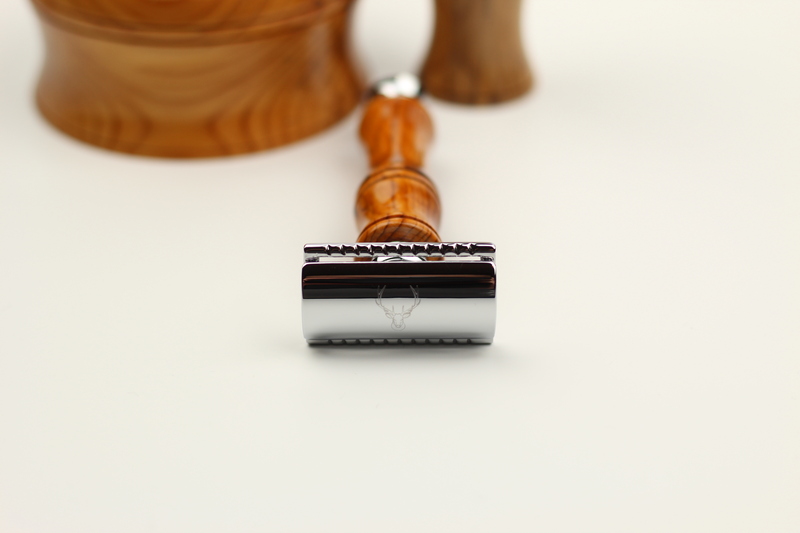 The Safety Razor Head: This houses the replaceable, double edge razor blade. The handle: The handle should fit comfortably in your hand. 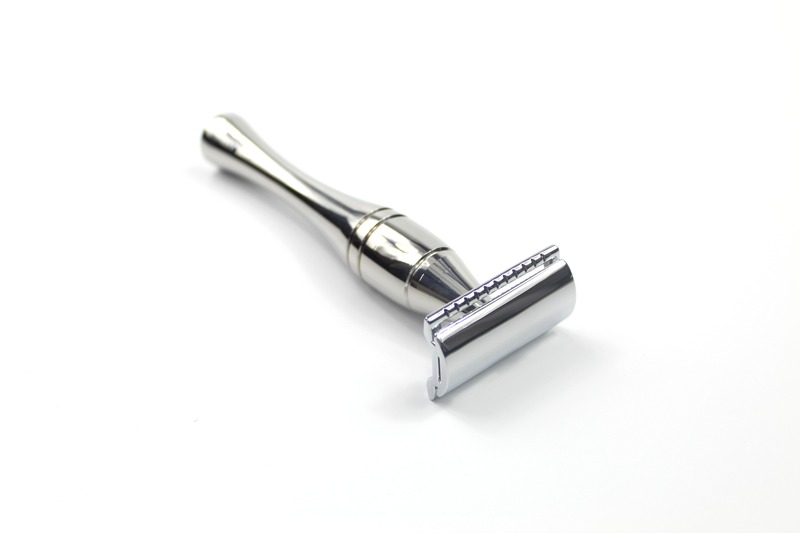 The weight of the Razor handle is important and may effect the consistency of your shave. One additional benefit of the Safety Razor, outside of its much improved and smoother shave is its versatility. The mechanism allows you to take total control of your morning ritual and change out different kinds of razor blades until you find one the razor blade that works best for your skin type and facial hair. This versatility contributes to you fine tuning your morning shave over time until you hit that sweet spot. Straight Razors added another dimension of versatility to the package. Straight Razor shaving uses the same tools and the same expertise as your barber. It's no easy work and it's often left to the Professionals. This is old school shaving with a single, extremely sharp exposed blade. You will need to sharpen your blade with a strop and hone it every now and then, but the good news is that you will only need one. First things first, forget about those canned gels and foams. No, we really mean it and can't express how important this is. Not only do the shaving canisters amass in their billions each year in land and sea fill, aggressively polluting our wonderful planet, but we really just shouldn't be using them. In fact, since the dawn of the art of shaving, the only lubricant Man has used is natural and handmade soaps. Shaving gels and foams are a recent trend from the last half decade and are terrible for your skin's health. Shaving Gels and Foams are like fast food but only for your skin. Even the shaving gels and foams from the giant corporates that claim to be moisturising your skin often only offer minimal effect. They do more harm than they do good. When you pick your shaving soap, you’ll have more control over the ingredients you put on your skin. The natural ingredients in our shaving soaps intentionally help your skin to heal and to remain soft and smooth. We source all of our natural ingredients ourselves and handcraft our soap in England. Take a look here (opens new window). The soap's lather is designed to raise the hairs away from your skin. This means when you apply your shaving Razor that you will naturally get a significantly closer shave that you would using a foam or gel. Your Safety Razor will dice through those facial hairs like butter. This also contributes to preventing ingrown hairs by making it less likely that the hairs will replant themselves into the skin. Have sensitive skin? Many of us do, just make sure you take a look at the ingredients on the soap that you choose. It's important that the soap contains no alcohols that may dry your skin or irritate your skin pores. There's nothing like working up a proper lather in the morning using your favourite soap and slapping on a thick coat of that morning scent. A proper lather using a well built brush will help your hairs take shape and stand on end ready for your Safety Razor to dice through them like paper. Shaving brushes can be made from badger hair, horse hair, synthetic hair, or boar hair. We would always recommend synthetic hairs, not least because the true origin of animal hairs cannot always be traced and they're often sourced using harsh and cruel techniques. When you’re done using your brush, rinse your brush and flick out any excess water. Dry the brush upside down to best preserve it. A shaving brush that is taken care of can last years and years. You can use a mug, saucer, bowl or just about anything to swirl your brush in the lather, but most men opt for a nice bowl dedicated to this purpose. This is part of the style of the wet shave, so treat yourself and pick out a quality brush and bowl. We have put together a complete Shaving Set here (opens new window). 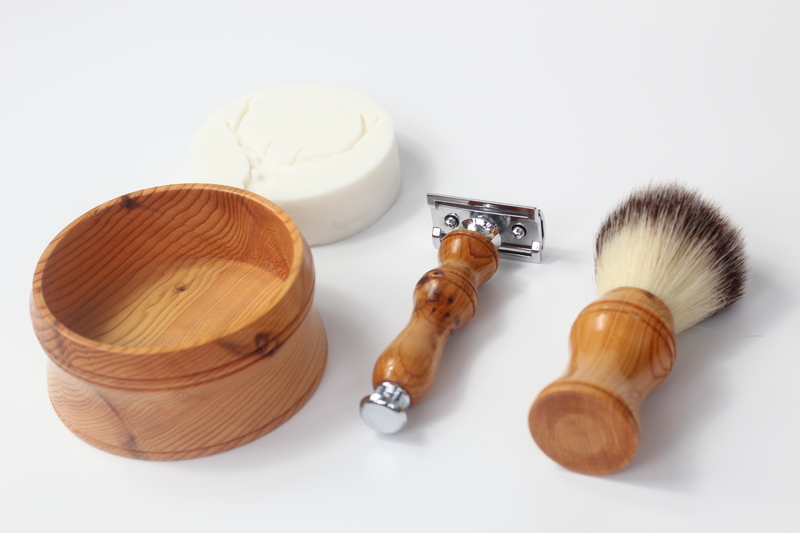 Our new, entirely handmade and gloriously British shaving set. Our masterfully crafted shaving products are built to last. Something to be proud of; each shaving piece is individually handmade in a small workshop in Cheshire, England over the course of several days. The results are truly magnificent with precision in every detail. 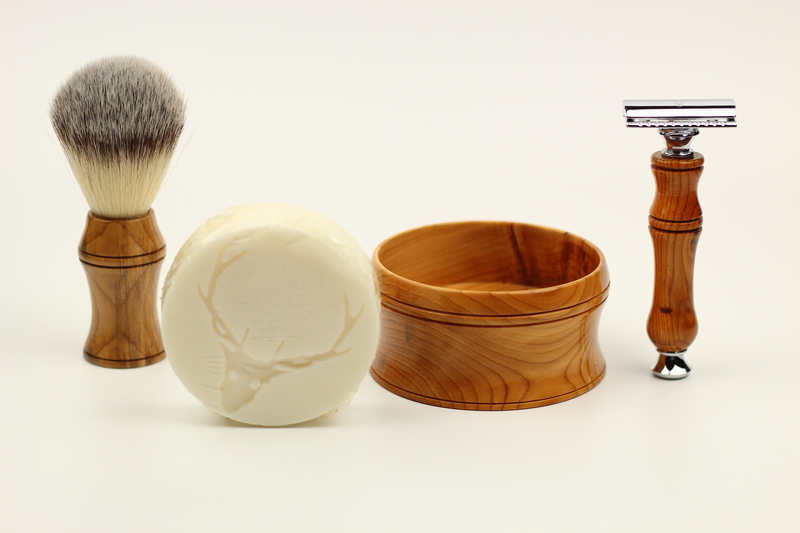 Crafted with British Yew Wood, the 3 piece matching set includes the S1 Safety Razor, Yew Shaving Brush and Shaving Bowl, with a complimentary handmade Shaving Soap. Crafted with British Yew Wood, the S1 razor is part of a 3 piece matching set accompanied by a Yew Shaving Brush and Bowl. Our Shaving Razors use standard Single Blades. Did you know that using a single blade means a closer, smoother, less irritable shave? The Single Blade is the same blade that your barber uses - and uses for a reason. Unlike mass produced razors, we're supporting skilled craft. 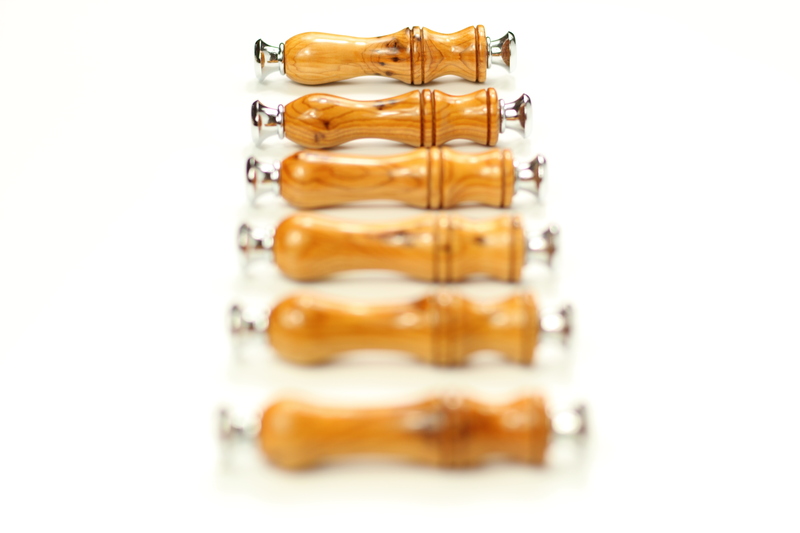 Each wooden handle is handmade, one by one with extreme attention to detail. The result is a work of art, in a class of its own. 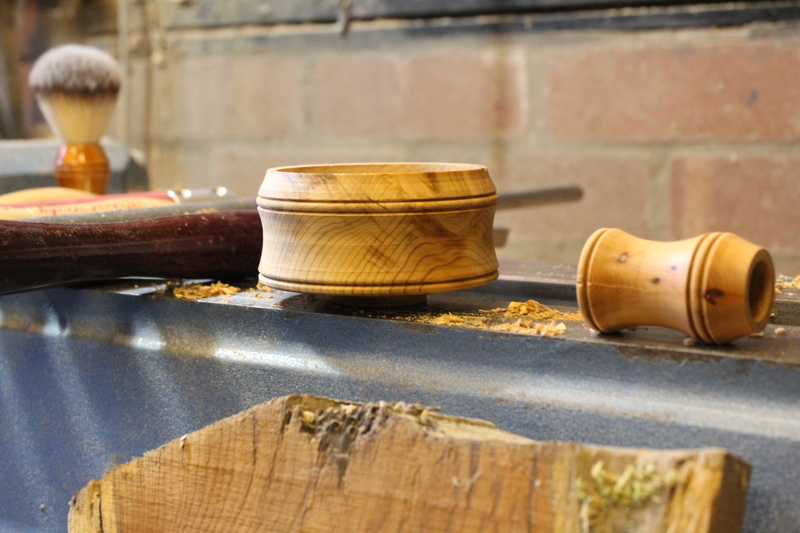 Each Yew wood Shaving Bowl carries the same design as the S1 Razor and will hold its own unique colour, pattern and pores as it comes from a different cut of the same Yew tree. 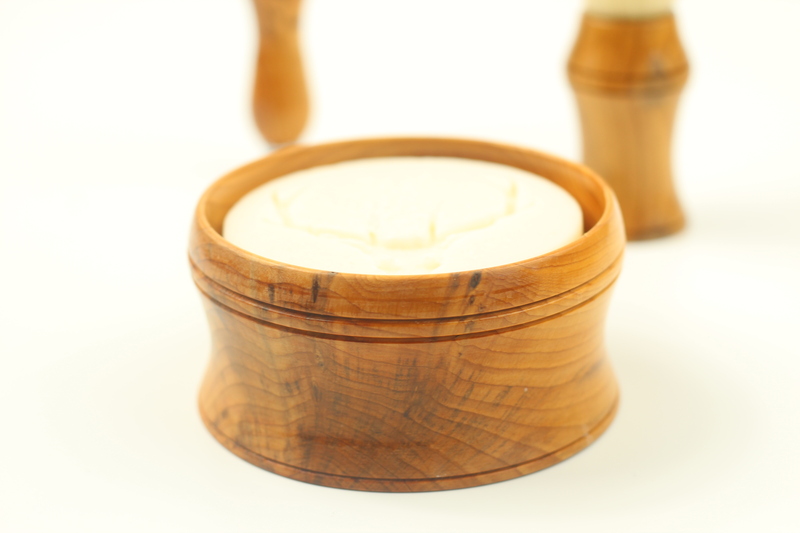 The wood Shaving Bowl and natural Shaving Soap are designed to give you a rich, clean and full lather. All of our Soaps are made with 100% natural ingredients for an irritant free shave that is kind to your skin. 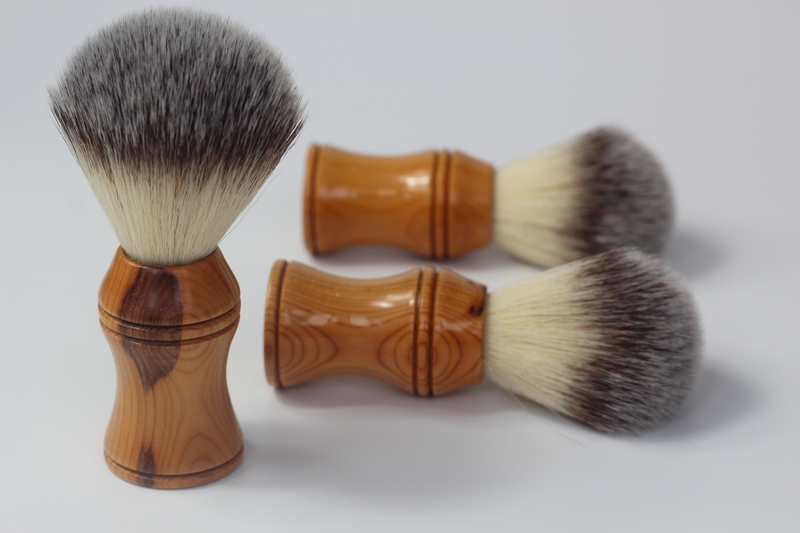 In keeping with the design theme, the STAG wood shaving Brush holds a natural curve, ergonomically designed to fit between your fingers and thumb for a comfortable lather with ergonomic grooves. The brush holds a synthetic fibre, a significantly more ethical approach to the use of animal hair and we believe gives a smoother and more rewarding brush and lather. Skilled craft. Sustainable materials. Built to last. Our entire handmade shaving collection is individually crafted over days by expert British Artisans in our small workshop in Cheshire, England. We select our own REAL British hardwoods, sourced responsibly and locally to our workshop, before being cut to size and ready for craft. We source all of our woods responsibly and locally in Britain. We want to make better things, using authentic, skilled techniques. No one will own a set the same as yours! "STAG tramples all over landfill-bound plastic disposables with its wood and chrome safety razor. It has a longevity that will save money over disposable razors (and looks so much better too)" - Clearly Magazine. Last year (2017) STAG received huge praise in the press for an ambitious vision of a plastic-free world of shaving. Grooming Mail recognised the difference STAG could make by replacing the all singing all dancing plastic shaving disposables plastered all over our TV screens. STAG continues to drive change. We're Leading The Herd in the shaving industry and we're proud to be making a difference. The world is facing a devastating problem, one that is both a huge threat to both our wildlife and sea life. Plastic only really hit our high streets in the 1950's, but back then it was a new phenomenon, a convenient revolution of long lasting packaging with an inconvenient secret. Amazingly, plastic is durable that every piece ever manufactured in any form STILL exists today. That includes every (billions) disposable shaving razor ever produced, disposable shaving canister, aerosol and other bathroom accessories. Scary, huh? In fact, an estimated 8.3 billion tonnes of plastic has been produced to date (Science Advances by industrial ecologist Dr Roland Geyer, from the University of California). Of this, around 10 million tonnes hits sea fill. Incredibly, shaving products are thought to be the seventh largest contributor to this disease that is consuming our Planet. So WHEN will it disappear? The truth is, we just don't know. 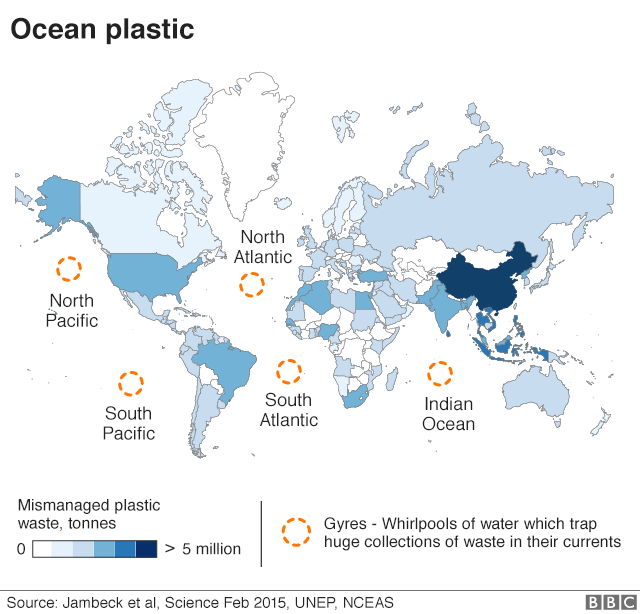 In fact, no piece of plastic has yet biodegraded. So, the truth is, we can only guess as to when it will. Best estimates suggest that plastic could take up to 1,000 years to biodegrade. Even then, we're unsure as to what the longer term effects may be. Marine life such as Turtles will continue to struggle to distinguish between plastic bags and jellyfish, for example. This in turn, once consumed, causes internal blocks and may result in death. Larger pieces of plastic such as disposable shaving razors and canisters can damage the digestive systems of sea birds and whales, and can be potentially fatal. Whilst choosing plastic is just that - a choice, ultimately it is convenience that we choose. We wanted to bring a viable alternative to the market. Shaving is an art, passed down by generations for two hundred years. For decades now, plastic disposables and plastic cartridge razors have grown to overtake the traditional wet shave. However, in recent years, this trend has slowed and the double edge safety razor has made an overwhelming comeback. STAG Safety Razors offer a durable solution to the plastic multi cartridge alternative. A razor built to last, Safety Razors use recyclable stainless steel double edge razor blades that are also up to ten times cheaper than cartridges, saving you a fortune in the long run. Our vision is to be Britain's Best Shave. A fantastic morning shave that is both kind to the skin and leaves you feeling reinvigorated for the day ahead. 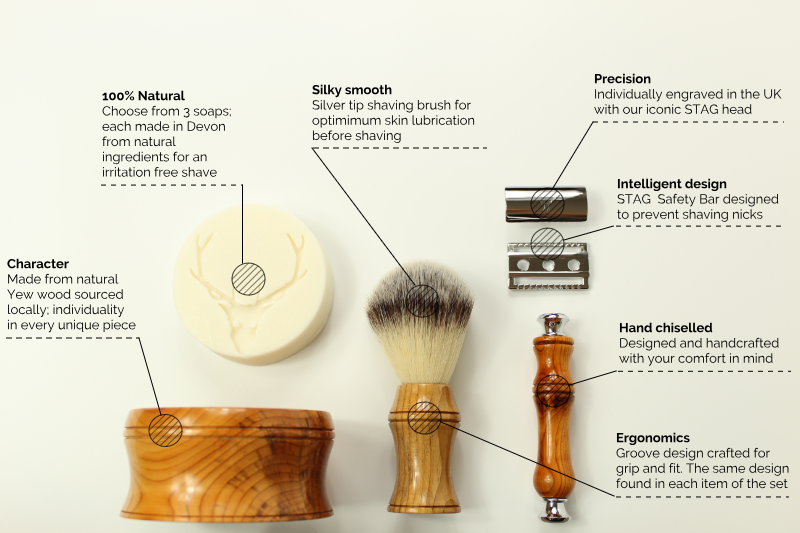 We believe our beautifully handcrafted environmentally friendly shaving collection fits the bill. We're proud of our products, and we know that you'll be even prouder to own them whilst knowing you're helping to make a huge difference to the world. 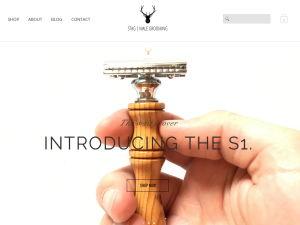 If you are the owner of Stag | Male Grooming Blog | England, or someone who enjoys this blog why not upgrade it to a Featured Listing or Permanent Listing?